Fast picture prints scanning services. 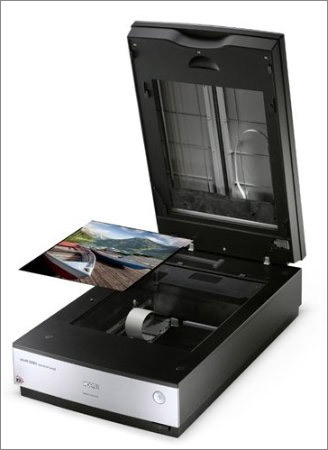 Photo transfers and scanning to CD, photo to DVD, PowerPoint presentations and high resolution digital file format. We provide low cost and high resolution photo scanning service with same day turnaround service on most orders. Vaskevich Studios brings old photos to life using high quality optical scanners and digital photo enhancement tools that are best in the industry. Converting printed photographs to digital format allows protecting the precious memories against dust, decay, scratching and image fading. We use the industry leading scanning equipment and careful print handling procedures to preserve the originals as much as possible. Once the photo scanning process is complete, you will receive your prints back along with scanned pictures on a CD, DVD or any storage device of your choice. Need 35mm slide scanning services? 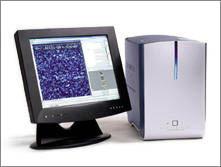 Visit our slide scanning services page. Interested in making a DVD photo slideshow from your pictures? Check out photo DVD slideshow production service. If your photographs require repair or photo enhancement, please check out photo restoration services. For on-site express photo scanning services email or call our Orlando Orange County location at (407) 610-2451 for same-day service availability. All photo scanning is done on premises! Your photographs never leave our Orlando studio. All work is handled by a professional photographer, therefore a special care is applied to all photo materials. We accept up to 12 inch photo sizes. Larger photo reproduction is available on demand. Each photo is manually scanned and digitally enhanced. Strict quality assurance. We review all photos after they were placed on a digital storage medium to insure digital data integrity. High volume batch / bulk photo scanning services are available on premises in our Orlando facility. Prints scanned at 600 pixels per inch yield 2400 x 3600 or almost 9 megapixel images from 4 x 6 inch prints. At 300 ppi images are 1200 x 1800 or a little over 2 megapixels. The photo prints can be scanned to DVD, CD, USB storage device or high resolution digital files provided via web download. Photo to CD scanning service - when photos are scanned to an archival CD media, this service provides highest quality digital picture files that can be used for all required purposes, including photo re-printing, CD and DVD slideshows creation, web publishing, multimedia presentations, photo sharing, PowerPoint presentations and high quality digital photo manipulation. 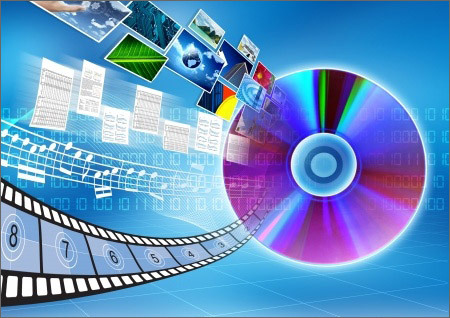 Photos to DVD scanning service - when photos are scanned to DVD media, they can be either placed on a DVD as digital files or turned into a DVD slideshow to view on large screen presentations or a TV screen. Scanning pictures for the purpose of using them as a DVD slideshow is the best use of DVD media. However, if you need to preserve the original quality and resolution of scanned images, we recommend scanning photos to CD (archival media) as digital files. You can always make a DVD slideshow from the pictures that were placed onto a CD disc. Prepare your photos by removing them from albums and frames and organizing photos into batches with up to 100 photos per batch. Place each photo batch either in a plastic zip lock bag or a box. You can use a thin rubber band to hold the photos together. Call us first at (407) 610-2451 for same-day service availability. Then bring your photographs to 132 E. Colonial Drive, Suite 220, Orlando FL 32801. Alternatively you can ship your photographs to us. Please call us to place your order over the phone. Once we have your order at our studio, we will provide you with the earliest order pick up time available. No downpayment is required at the time of an order. Same day service is also available. Once your order is complete, we will notify you either via email or by phone. The payment for the services is due at the order pick up time. We understand the value of your photographs and take the appropriate measures to assure the quality of photo handling and transfer. We promise to take care of your photographic materials as if they were our own treasured memories. Rates are based on 300dpi recommended standard photo resolution scanning. Higher resolution scanning is available for professionally produced prints. Please call us with the number of photos you need to scan and we’ll provide you with a quote for photo scanning services. Scanning service is provided for print sizes between 3.5×5 and 8.5×12 only. For large format reproduction services, please contact us for a custom quote. Same day service for all CD and DVD duplication orders. All CD & DVD media is archival quality. We advise to store image files on CD discs as CD media has longer lifespan. However, if the number of scanned photos is high, a DVD media could provide a more appropriate picture storage solution. For DVD & CD copy prices email or call our Orlando Orange County location at (407) 610-2451 for same-day service availability. In addition to photo scanning services, we can also design and produce digital CD, DVD or online streaming media slideshows for business and personal events and parties. Slideshows are set to show each picture from 5-15 seconds. 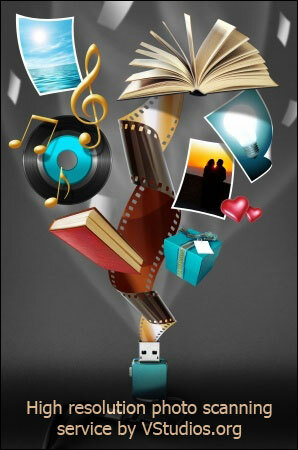 Music tracks and additional audio can be added to enhance slideshows. Standard photo transitions used are cross dissolve, wipe and slide. Streaming video files are provided on CD or DVD and are fully compatible with YouTube and Vimeo video. 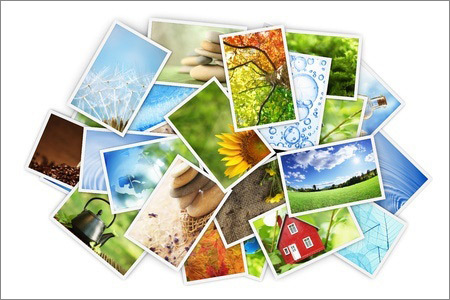 * Fees for photo slideshows production are additional to scanning services. Photo scanning services are generally used to digitize pictures that were printed on a consumer or a professional grade paper. These digital photo files are placed on CD and DVD discs, usb storage devices, used for PowerPoint presentations, web publishing and design, restoration and photo printing and enlargements. Scanning printed photos to CDs, DVDs and other digital storage devices are currently the best way to preserve fading of printed photographs. Scanning to hard drives, usb memory sticks and flash drives are good options. However, due to the nature of the re-writable digital memory, hard drives and flash memory may get corrupted with time, therefore it’s always a good idea to back up your photos to more than one storage device. Although CD, DVD and Blu-Ray media are a fragile method of storage, when kept out of harsh weather environments (including sun and hot temperatures), will outlast other methods of digital file storage. Scanning photos to archival quality CDs is considered the best option, because the CD’s optical layer that contains image data is thicker and made of a more robust material than the one used on a DVD or Blu-Ray disc. The above is only applicable to optical writable media. When CDs, DVDs and BluRay discs are manufactured, they are produced by a different method then used for CD and DVD duplication. When photos are scanned to convert to a digital format, it is important to consider the scanning resolution. The best and most practical resolution to scan consumer grade photos is 300dpi. There is no need to go beyond of 300dpi because the consumer grade prints only provide up to around 250dpi of resolution for the best paper stock and printing quality. Therefore scanning printed photos at 600dpi for example would not result in better quality or resolution of scanned images, but instead will cost more and render unnecessary large files. If the photos are professionally produced and printed for industrial, medical or scientific use, they may have a significantly higher resolution and definition and will benefit from scanning at higher resolution. We would recommend to scan photos by a commercial photographer and professionally printed photographs at 600dpi or more to preserve the available photo resolution and definition. Our studio is conveniently located in center of Orlando and you are welcome to drop-off your order at our studio during the normal business hours. We also accept mail-orders and process all orders nationally. Please use our Mail Order Form to submit an order. If you ship your order to us, we will ship it back to you via USPS certified or UPS mail. For UPS shipments, the following cities allow for standard 2nd day shipping: Aloma, Altamonte Springs, Apopka, Azalea Park, Azalea Park, Belle Isle, Casselberry, Celebration FL, Clermont, Cloud FL, Cocoa FL, Conway, Conway, Davenport, Doctor Phillips, Eatonville, Edgewood, Fairview Shores, Fairvilla, Fern Park, Forest City, Goldenrod, Holden Heights FL, Kissimmee, Lakeland, Lockhart, Longwood FL, Maitland, Merritt Island and Cocoa Beach, Melbourne, Mims, Oak Ridge, Ocoee, Ocoee, Orlando, Orlovista, Oviedo, Pine Castle, Pine Hills, Port Saint John, Rosemont FL, Sanford, Sky Lake, Titusville FL, Union Park, University Park FL, Windermere FL, Winter Garden, Winter Park, Winter Park and Winter Springs FL. Being located in the center of Greater Metro Orlando downtown area, we are locally and conveniently connected to the following locations via routes I-4 and RT408: Altamonte Springs, Celebration, Christmas, Conway, Davenport, Eatonville, Gotha, Lake Butler, Lockhart, Maitland, Maitland, Melbourne, Meadow Woods, Oak Ridge, Ocoee, Orlo vista, Pine Castle, Pine Hills, Sky Lake, St. Cloud, Windermere, Winter Park, Winter Springs. For photo scanning services email or call our Orlando Orange County location at (407) 610-2451 for same-day service availability.